Damper, this Australian bread can be prepared with less ingredients and no yeast is needed for making this quick bread. 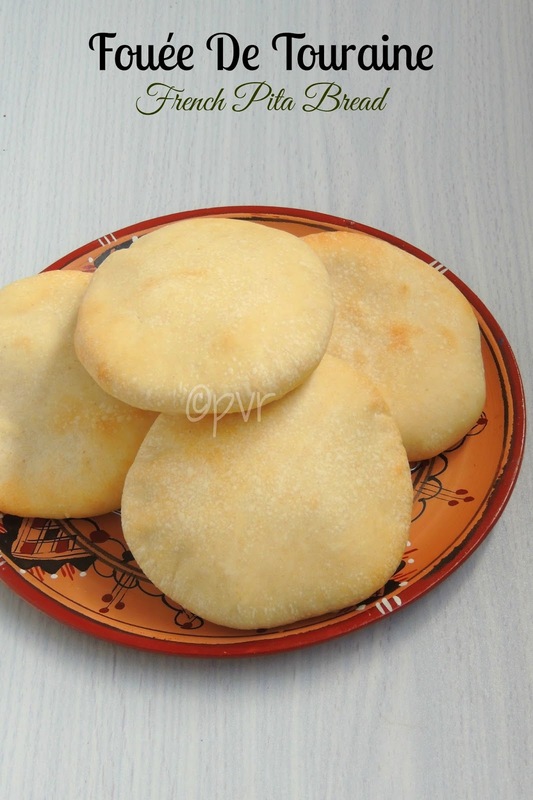 Actually this Damper is one of the easiest bread one can prepare easily without any hassle. 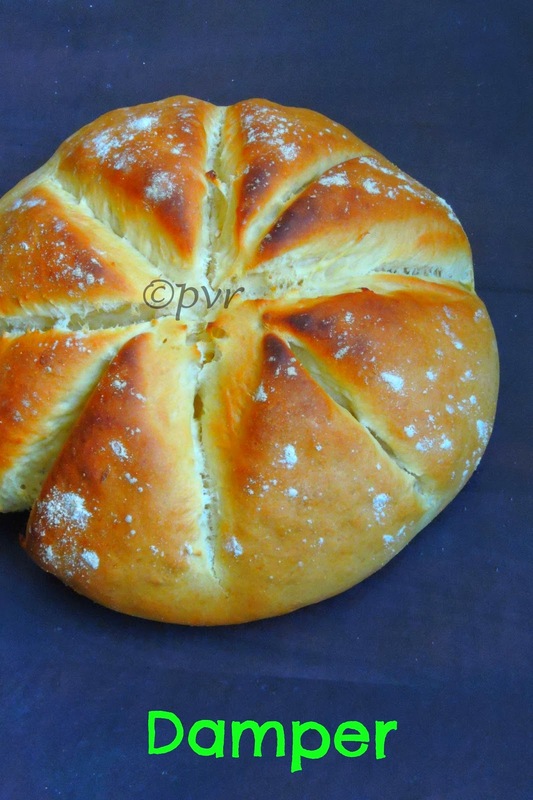 A prefect bread for beginners who want to bake their own bread at home.This is a traditional Soda Bread prepared usually by the travellers. 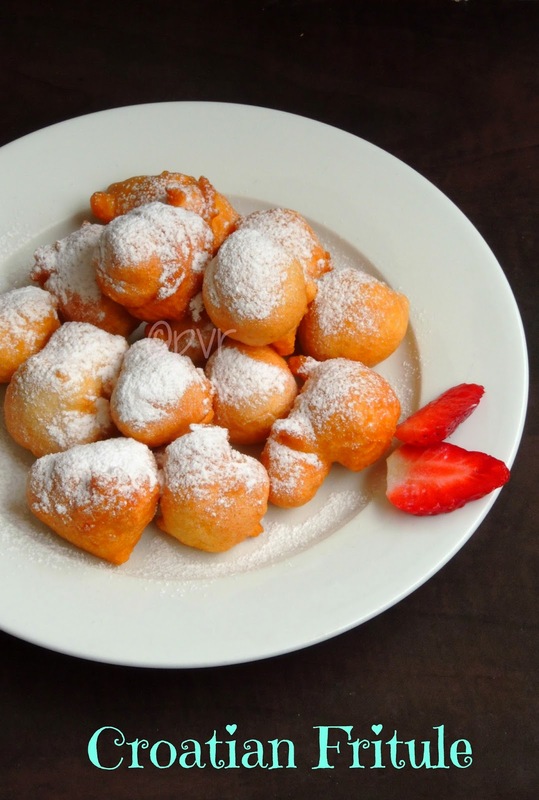 Do you know that Damper is an Iconic Australian dish which is also made in New Zealand from many decades. The basic ingredients for making Damper is flour, water and milk,baking soda or baking powder. Damper was cooked in the ashes of the camp fire, as this bread was originally developed by Stockmen who travelled in remote areas for weeks or for months. Halloween is around the corner, actually we dont celebrate here but since last three years kids are celebrating Halloween with their friends. However kids have fun with their friends during this Halloween day. Last year i have baked some Spooky Witch fingers and Mummy cupcakes for this special occasion, but this year i want to skip Halloween as am busy. But this month's Defi Boulange, created by Nadia and Manue, a French baking group challenged the members with an incredible Spider bread.Its a group where Manue and Nadia shares their beautiful bakes every month and the members of this group should bake their version of the month's challenged bake with their own ingredients.Spider bread went for easy ingredients and eggless. Obviously i pulled myself to make this bread. 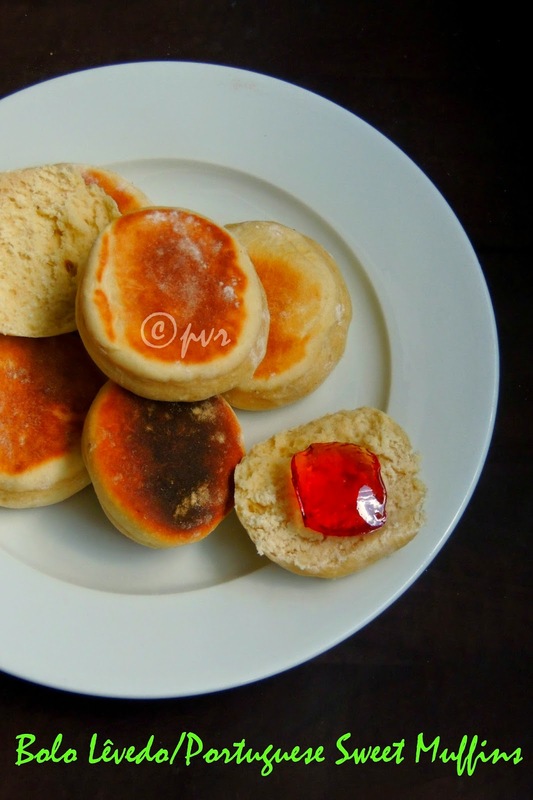 Bread rolls, nothing can satisfy a kid's tastebuds. 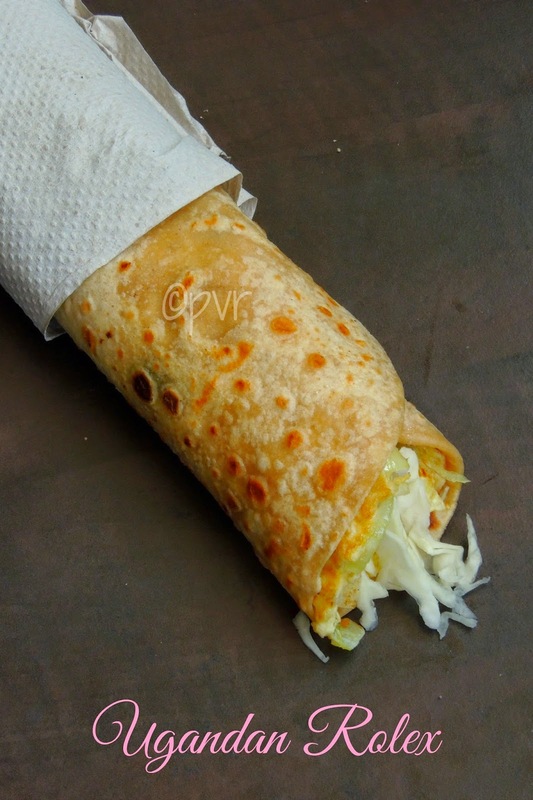 I have rarely seen kids saying no to breads and obviously bread are life saver for many of us, that too when we dont have anything to dish out for evening snacks especially for kids.I have tried couple of bread rolls with different stuffings, but however i found that anything with cheese in bread rolls is a big hit among kids. Few days back, i tried again a super cheesy bread rolls with home made pesto and mozzarella cheese. 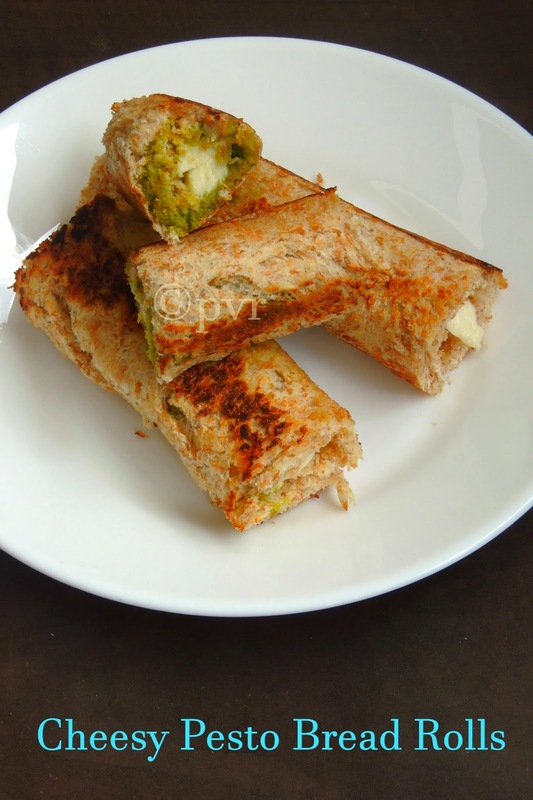 Pesto gives a fabulous taste this simple bread rolls, if you dont have pesto just stick with our usual green chutney. Any cheese works wonder as well. 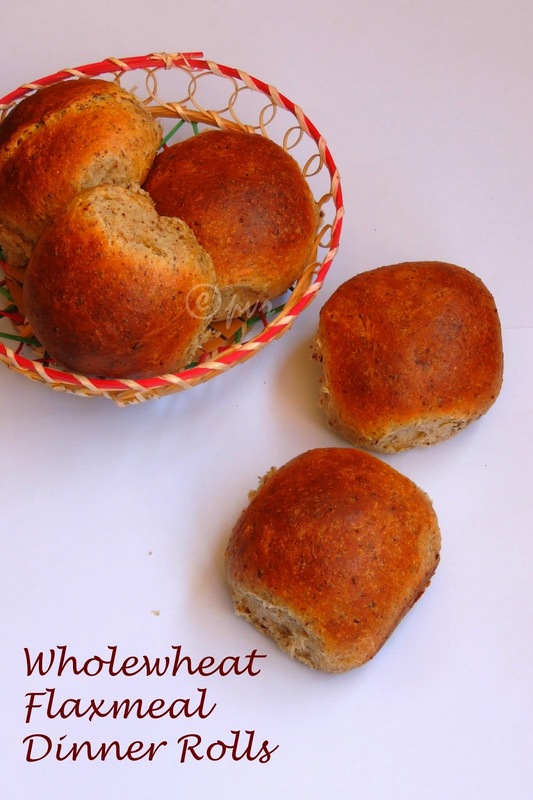 I went for whole wheat bread slices for making this rolls, which gives an healthy twist to this usual bread rolls. 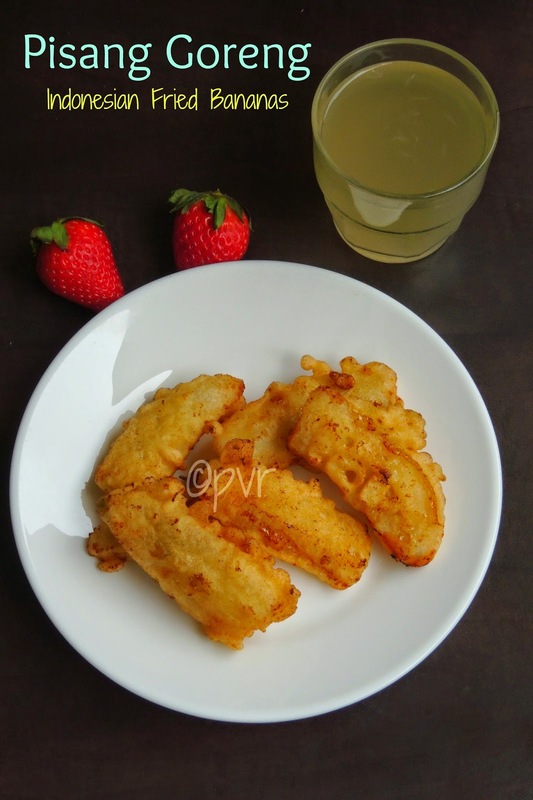 Cutlets or tikkis can be an excellent evening snacks depending upon the way how they are prepared. 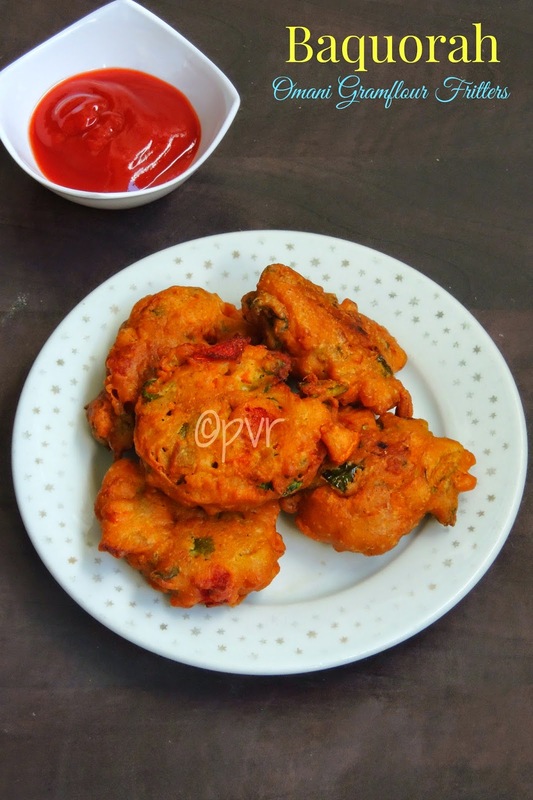 Some fry their cutlets by deepfrying while other goes for shallow fry, but pan frying makes some excellent guilt free cutlets. 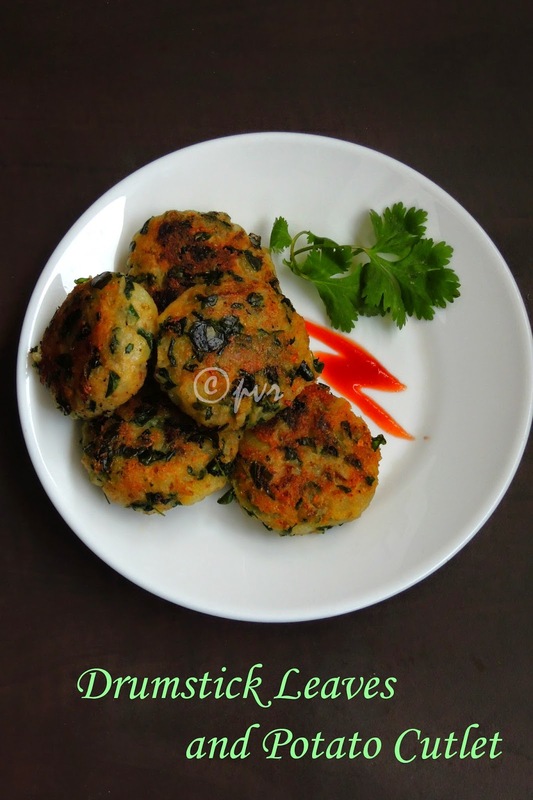 I make varieties of cutlets to feed easily vegetables to my kids as this is a best way to sneak vegetables. 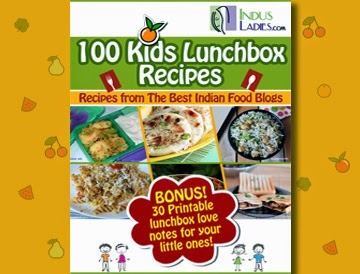 Kids love cutlets very much even if they are loaded with veggies. 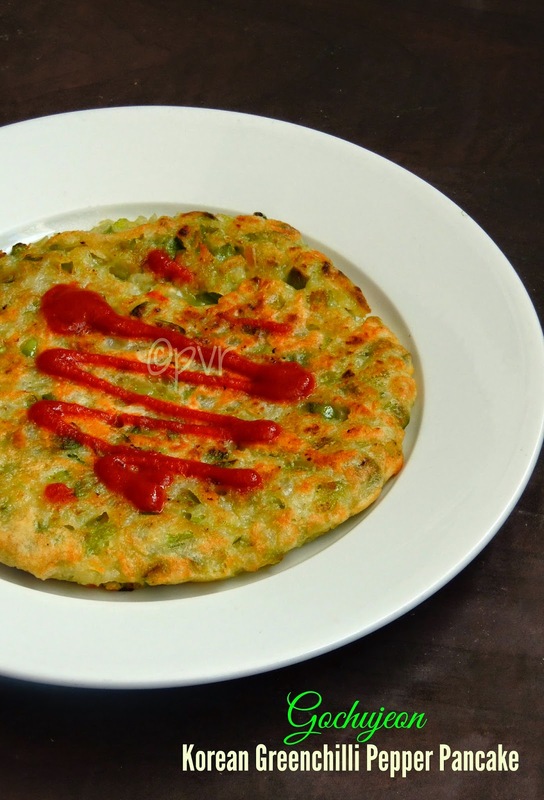 Vegetable cutlets are can be enjoyed thoroughly for evening snacks with your cup of tea or coffee without any guilt. My today's post goes for the healthy vitamin rich Drumstick leaves. Drumstick leaves are well known for their health values. We South Indians makes varieties of foods with this incredible Iron rich greens.I get this greens easily from Indian grocery very much fresh and i dont forget to grab a bag of these greens without any fail whenever i go to our usual Indian store. Indian greens are very much rare here but Thank god, these drumstick leaves are easily available now. 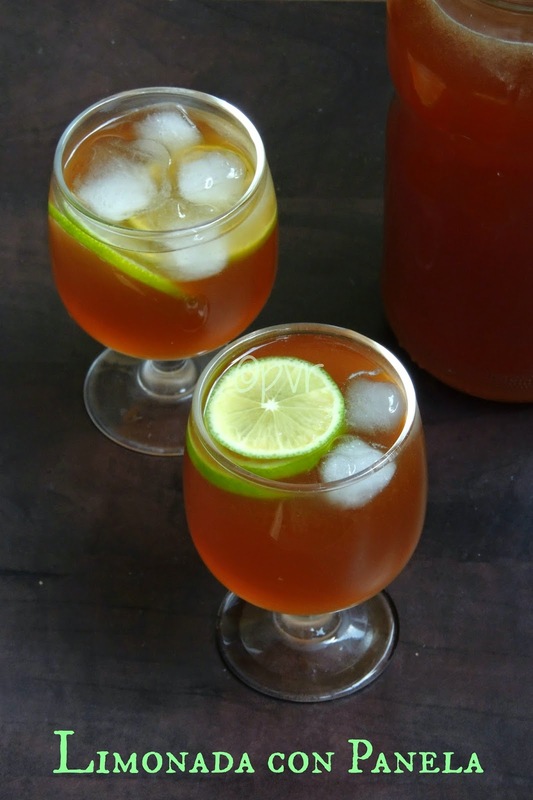 Tea time is the best moment of the day for most of us after an hectic day, obviously tea time snacks are must and they need to be quite filling as well as healthy to enjoy before the dinner. Most of our tea time snacks goes for healthy stuffs but however kids love to have very much some junk foods. Mostly i'll try to keep away those junkies from my kids and feed them with healthy snacks. 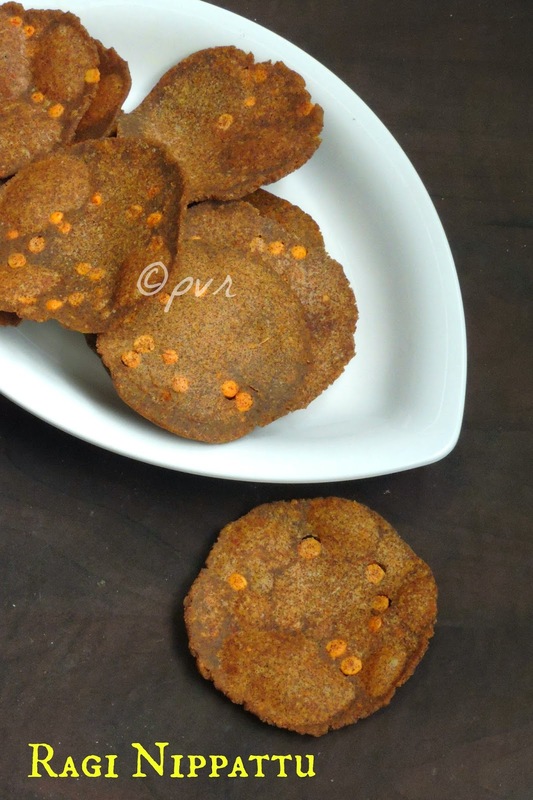 One of our recent snacks was this nutritious, healthy fingermillet paniyaram. 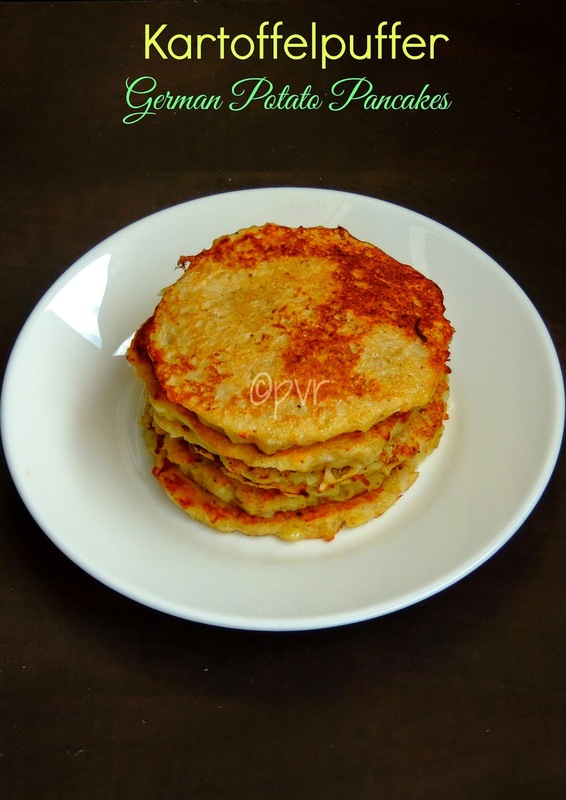 This paniyaram makes an excellent tea time snacks when served with a spicy side dish. 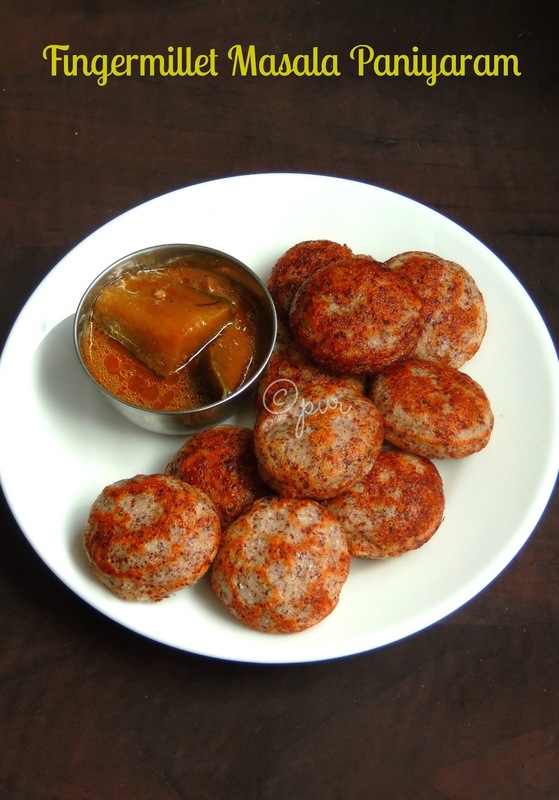 A plate of this Indian aebleskiver is quite enough to fill a small tummy and none at home will ask their dinner earlier.This tiny dumplings are simply prepared with ragi batter, which i prepared with whole finger millet grains but not with ragi flour. Yes this paniyaram is not an instant version. 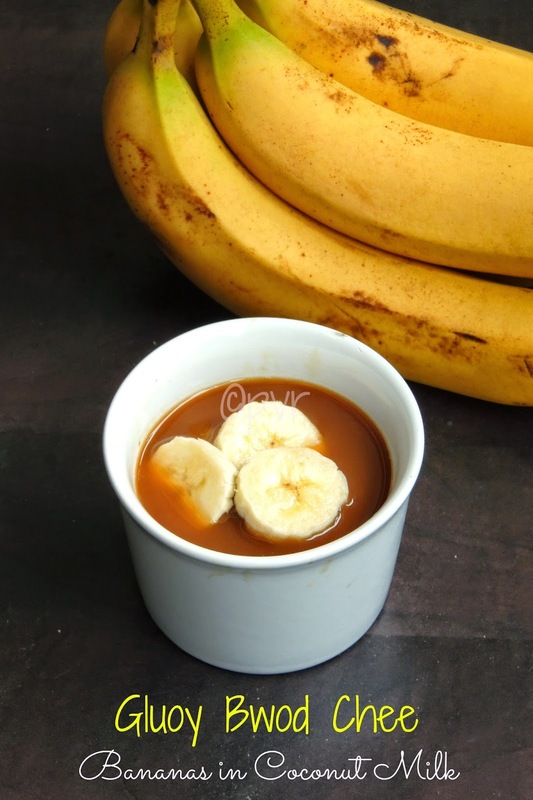 A fermented batter is very much needed to make this healthy,nutritious tea time snacks. Today is Diwali, and Indians all around the world will be celebrating with loads of sweets and savouries. As like every year, today is working day here. Obviously we dont have that much fun as much as like we have in India. 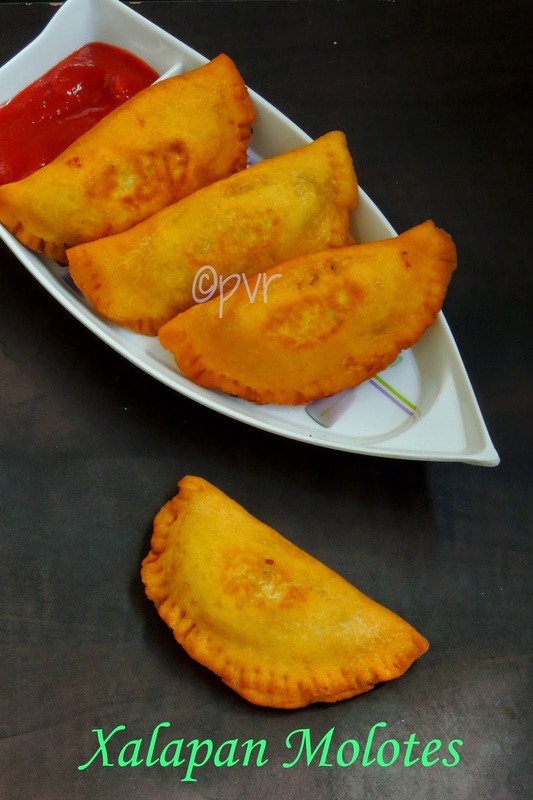 Every year i miss the fun and festival mood here but wat to do, its almost going to be ages, i celebrated this festivals of lights in India.However i'll try to make couple of savouries and sweets to celebrate diwali here at home. But this time, since i started my studies i couldnt make anything special and just prepared some murukkus aka chakli and this kesar mawa burfi. 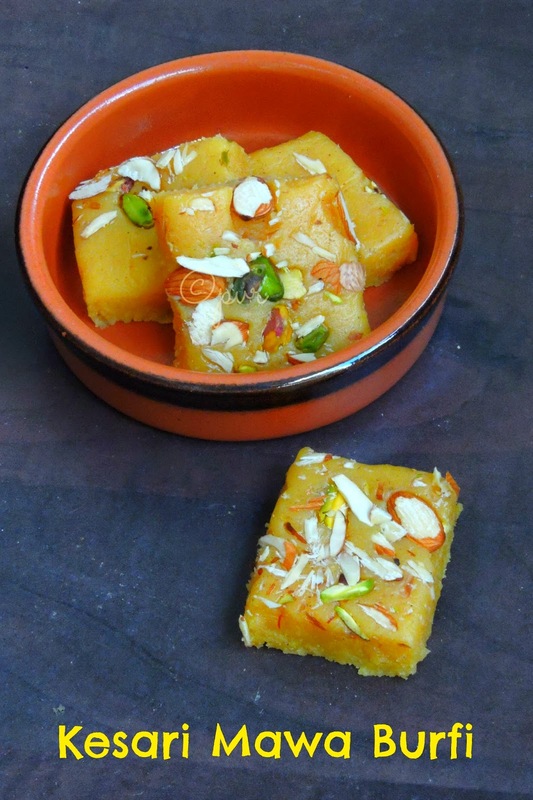 This burfi is definitely quite easy to make. A quick burfi to make with simple ingredients, since i had some unsweetened mawa aka khoya at home i simply made this beautiful kesar burfi. Are you surprised to read the name of this post?? yep i prepared these thattais yesterday evening with ragi/fingermillet flour along with other usual flours..This time i was quite happy to see my diwali savouries are prepared with wholegrains.One among my recent trial with ragi flour is this thattais.I was quite skeptical to add ragi flour while preparing the thattai dough,however this is the first time am using ragi flour in thattais. Since its my first trial,i prepared a small batch of thattais to check whether they turn crispy or not, for my surprise they turned out excellent. Immediately i prepared my second batch dough for making more thattais.I loved the addition of ragi flour in this thattais since they didnt change the taste or the crispiness of the thattais, however the colour of this thattais will be dark in colour. 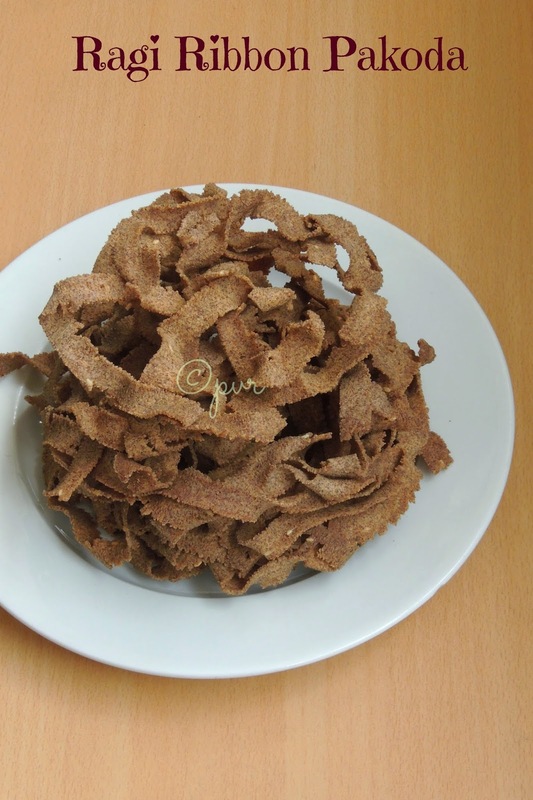 I am soo excited to share one of my new culinary invention, these crispy ragi thattais to you all. 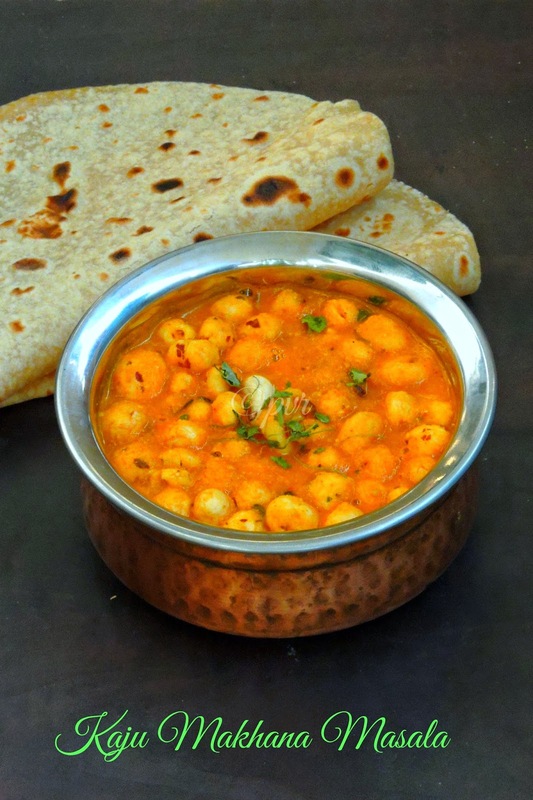 Most of our dinner goes for salads,soups and chapathis or rotis, obviously whenever i make our Indian flat breads, the most challenging part is to find out a prefect side dish to have along with. My family can have rotis every day with one condition, yes they need variety of side dishes to have with their rotis. 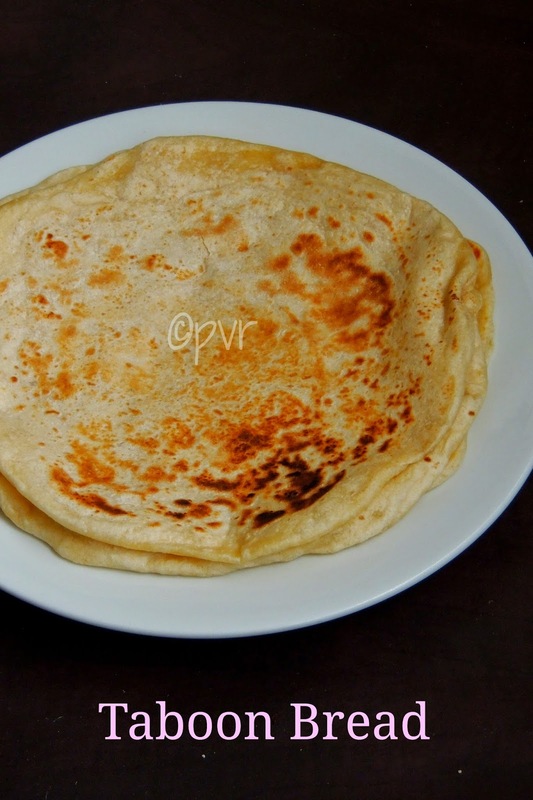 Obviously whenever i prepare rotis, the first thing i'll plan to make is the side dish to serve with, apart from our South Indian chutneys,everyone at home love paneer based side dishes to enjoy with rotis. However making a side dish often with paneer is not that much simple. 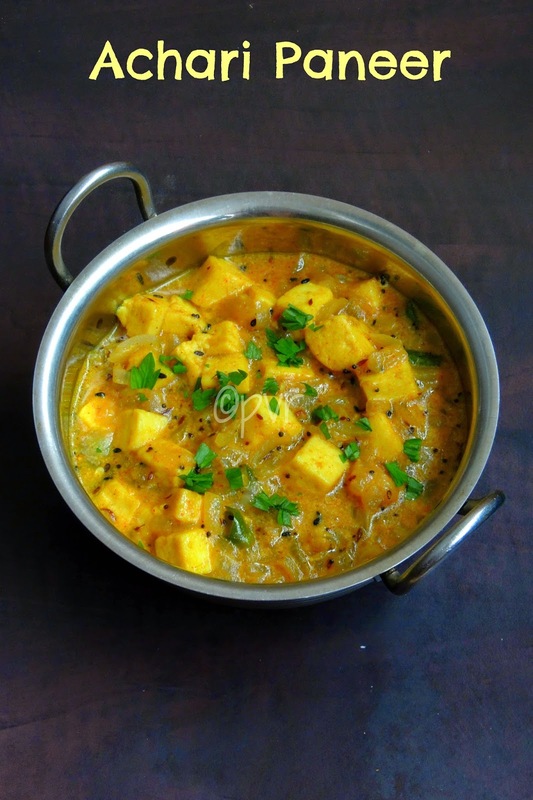 If you live in abroad making paneer at home or getting a packet of paneer from store is not that much easy if you have other household stuffs to manage. 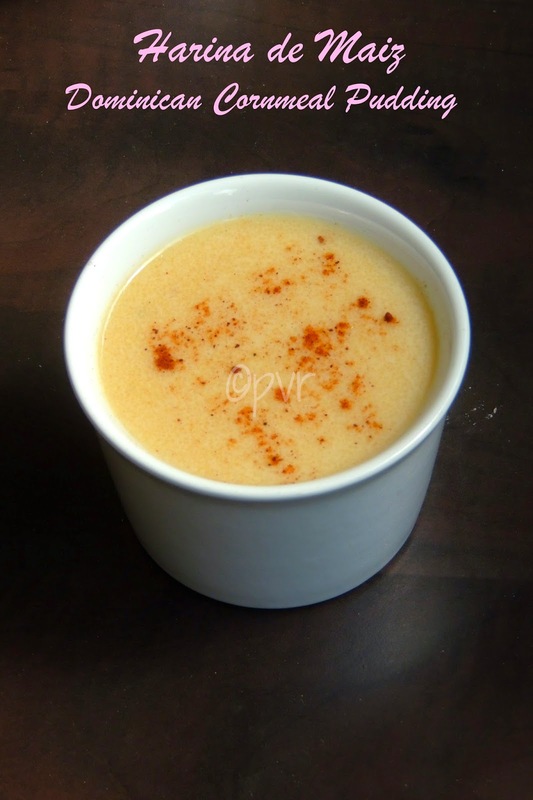 So I'll try to play with different ingredients available in pantry when its comes to North Indian style of side dishes, one among my recent trial is this Kaju makhana masala. I googled a couple of makhana side dishes however i opted for this kaju makhana combination after going through many sites. 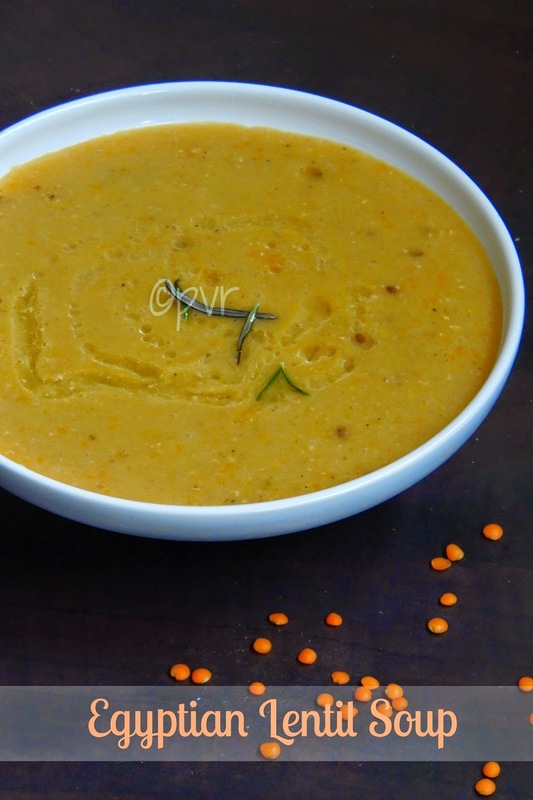 After going through my yesterday's post, you might have guessed that today's post might be an another North Indian side dish, yes you are rite. 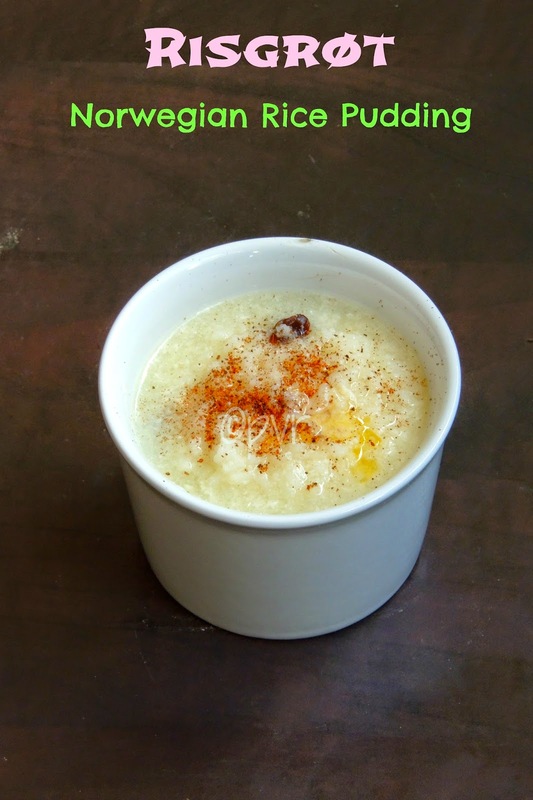 Today's post comes from Maharashtra, this dish is very simple to make, a fasting food of this region. 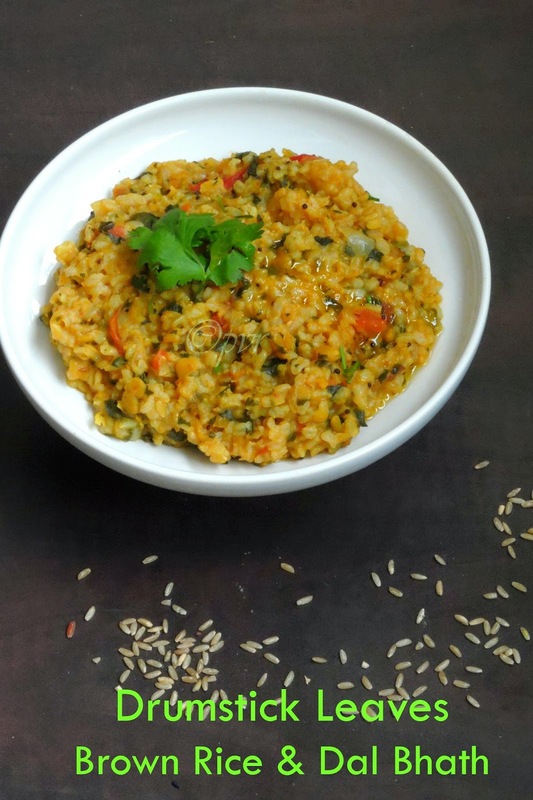 No onions,tomatoes or garlic is used in this curry,obviously a quick dish to make. Actually while i was going through one of the Tarla Dalal's cook book called 'cooking under 10minutes' i noticed this simple peanut curry. 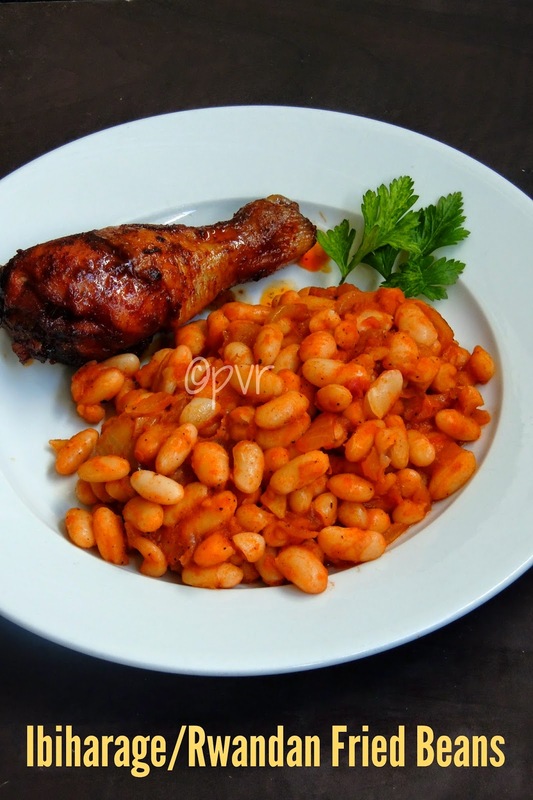 Peanuts are my favourite, i never think twice to make dishes with peanuts as i like it very much. When i went through this dish, the simplicity of this dish attracted me immediately and the best part of this dish is there is no chopping, so no tears while chopping onions. A simple grounded paste with coconut,green chillies and ginger is much needed to bring the flavor to this easy breezy dish.Sending to MLLA#76 guest hosted by Nupur, event by Susan and Lisa..
Paneer, this popular Indian cheese is one among the varieties of cheese we love very much at home.Obviously my fridge will definitely have paneer cubes and i love to add it in most of my dishes. After mozzarella, paneer is the most wanted cheese in my cooking. 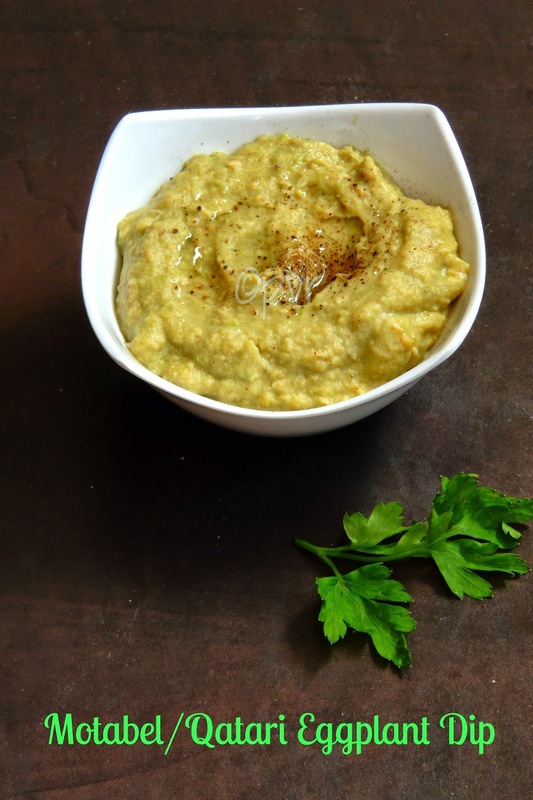 Most of the North Indian side dishes are prepared very much with this cheese often hence you can find many varieties of lip smacking gravies or side dishes in this cuisine. Our most favourite paneer dishes we never fail to order whenever we go to Indian restaurants are Paneer tawa masala, Paneer Makhanwala, Paneer peas masala and the list just goes on. 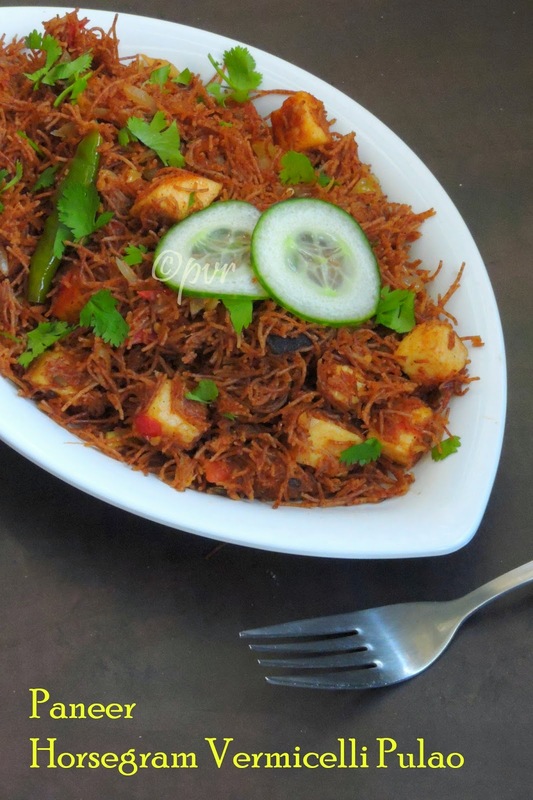 Its been a while i want to make some achari paneer and this paneer with pickling masala was in my to do list since ages, finally i made this fingerlicking pickling paneer at home few days back to have with rotis for our dinner. 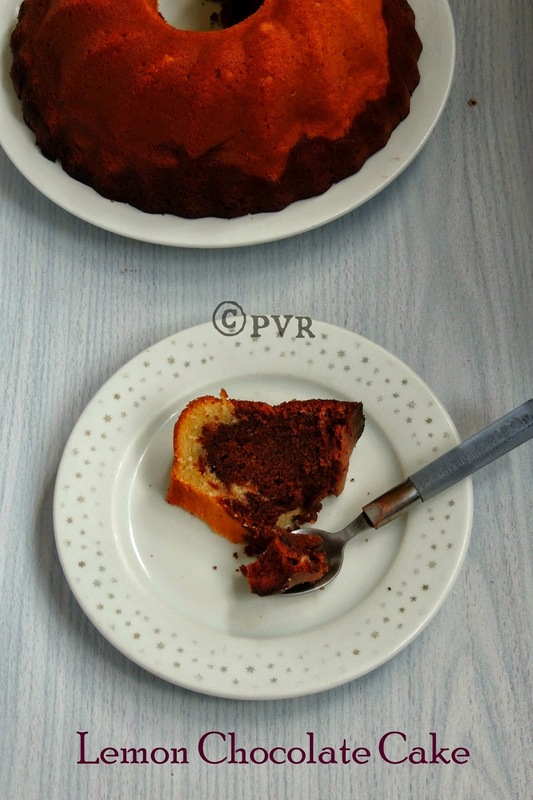 Chocolate cake is our family favourite and my kids just love chocolate cake with anything in it. Obviously i'll try to add fruits,seeds,nuts depending upon the ingredients available in my pantry. You can see varieties of chocolate cakes in my cake collections but still i have few more combinations to try and taste at home. One among those combination which i always to want to give a try is this Lemon-chocolate combination.Finally i prepared this fantabulous cake few days back for this month's Shhhh Cooking Secretly Challenge started by me few months back.Every month i'll make a pair with the members, then later we secretly discuss with our pair and give two secret ingredients to our pair, finally we cook with those secret ingredients and post on next month between 16-18th of every month. This is how this group function, we are having loads of fun by guessing the ingredients and have real fun with the members. 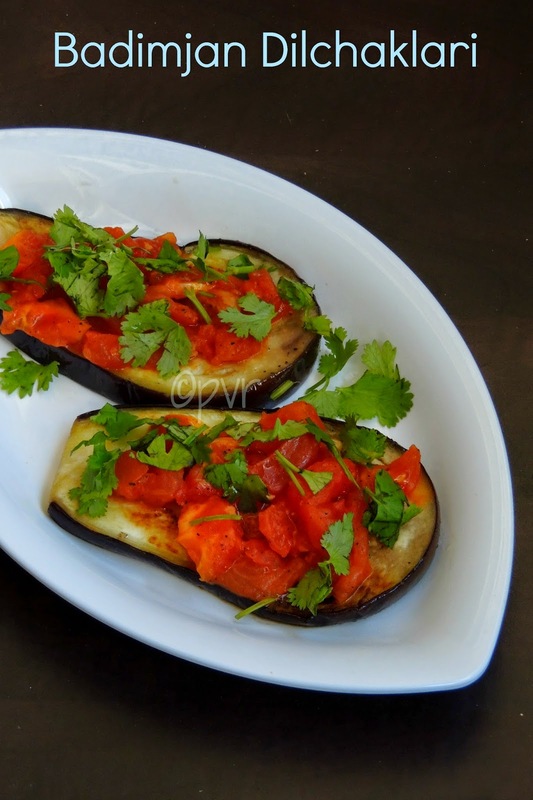 Also this group brings out the creativity from the members since the two ingredients given by the members will definitely pull you to dish out interesting dishes. 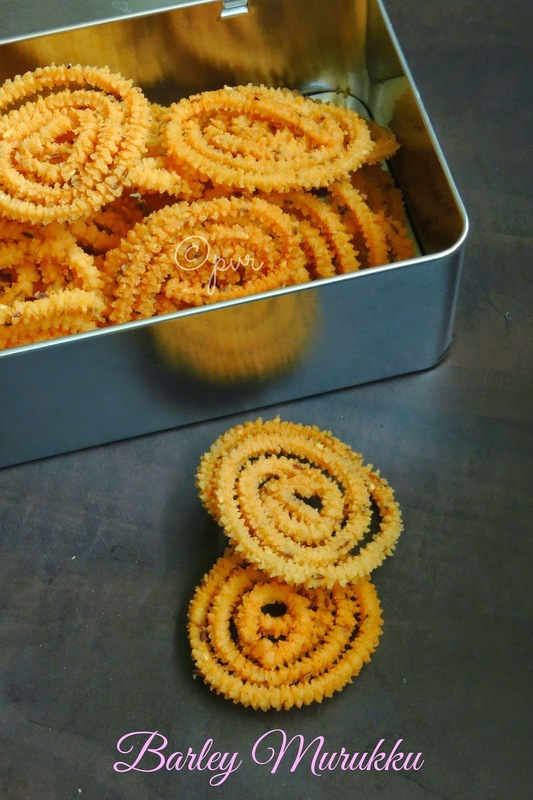 I cant imagine Deepavali savouries without Murukkus/Chaklis, this is a must whenever we plan for our Deepavali savouries list. Obviously you can see varieties of murukkus aka chaklis in my space,last year for Deepavali savouries i tried my hands with couple of wholegrains . All my trials came out extremely fabulous and i loved the way they all came out prefectly.That why i couldnt stop myself including the humble 'wholegrains' in most of my savouries as well as in sweets. I have already have a version of barley murukku which goes for roasted gram powder, but this time i tried making this crunchy murukku with roasted urad dal flour, hence this is my second version of Barley murukku.. Actually barley, this incredible and versatile grains is used very much less in our daily cooking but however now many are adding this beautiful grain in their diet and surprisingly all the dishes dished out of this grain tastes fabulous and nutritious as well. Making Godhumai halwa aka whole wheat halwa from scratch was my long time dream since i started blogging.Halwa,this delicious sweet is famous at Thirunelveli/Tirunelveli and the famous Iruttukadai shop is very much known for its dark,caramel colour halwa. This halwa is my all time favourite,everytime whenever anyone goes to Thirunelveli the first thing we will eagerly wait is, definitely for this very rich halwa. 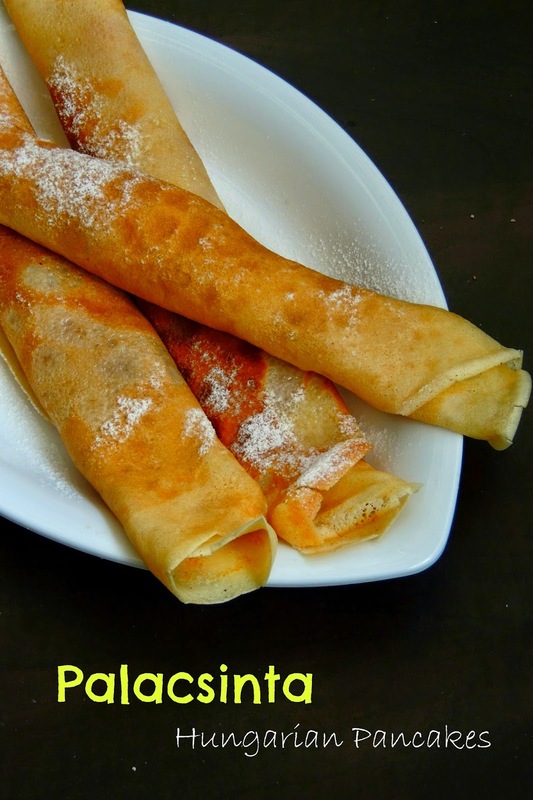 This popular sweet can be prepared easily at home if you have whole wheat grains at home. 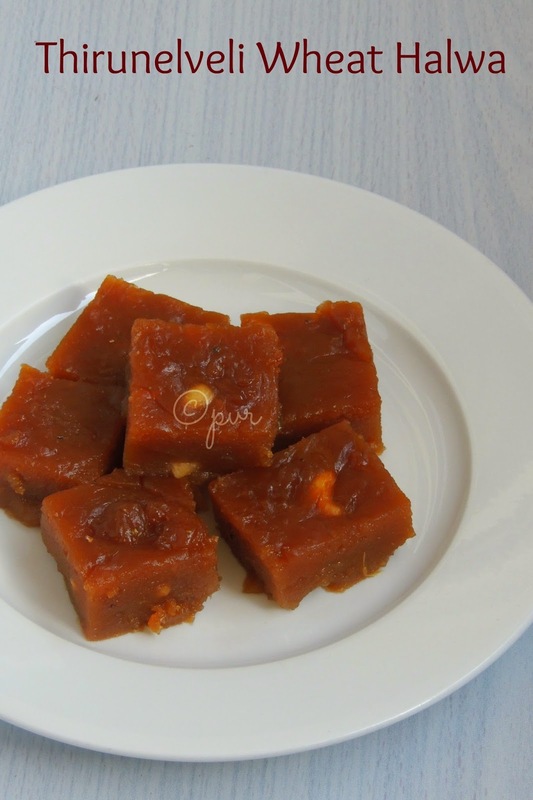 However some makes this halwa with wheat flour and says its Thirunelveli halwa but the original Thirunelvali halwa is prepared with wheat berries. Wheatberries soaked over nite are later grinded as fine paste, this fine paste when tighted in a muslin cloth leaves the wheat milk, this milk when cooked with sugar, ghee and nuts makes this very dangerously addictive, glossy godhumai halwa. Deepavali is celebrated all over India either in the month of october or in November, but this time this festival falls on ocotober, however dunno whether i'll be able make some savouries or sweets to celebrate this festival of lights as i'll be very much busy with my studies, but however will plan to make some during weekends. As like every year, i miss terribly celebrating Deepavali in India, its been almost 20years now i miss the fun and celebration of this festival. Seriously am waiting for 'The' day to celebrate this famous festival in my hometown, fingers crossed.I picked Festival special as theme for this week's blogging marathon, and this festival special is going to be Deepavali savouries and sweets. 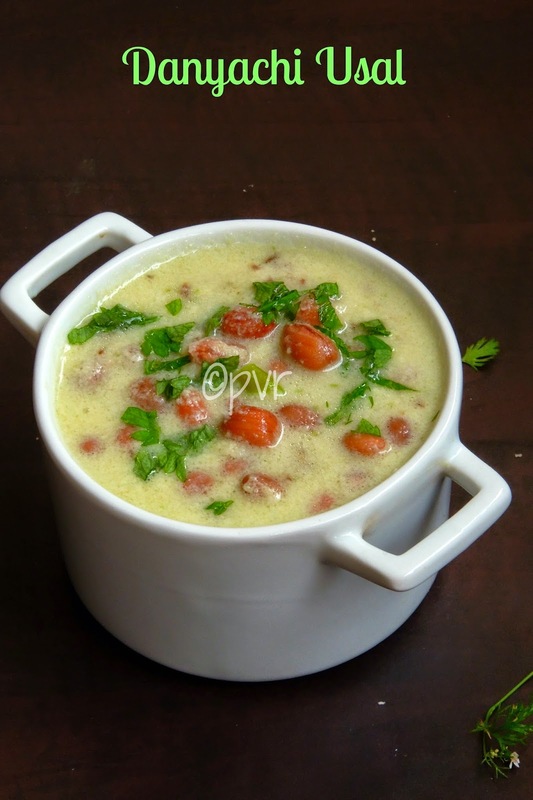 Yes am going to share three beautiful dishes for this week's theme. 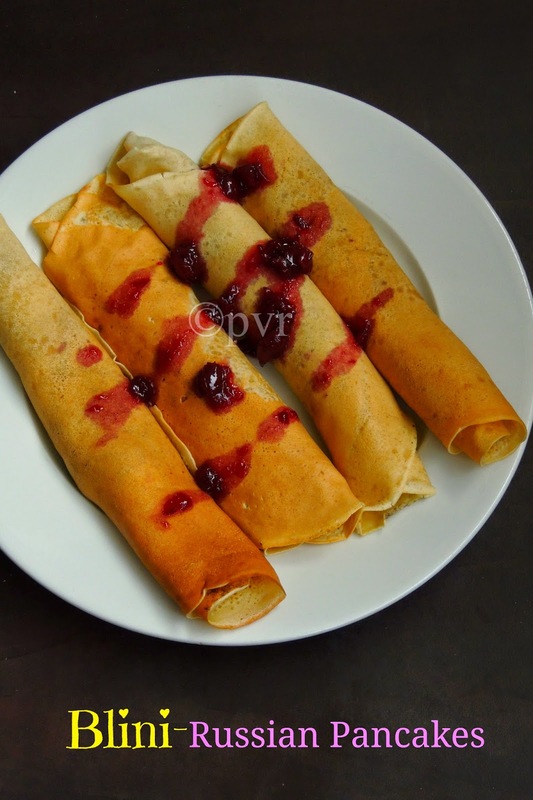 I have prepared two savouries with whole grains and the sweet one is with whole wheat. 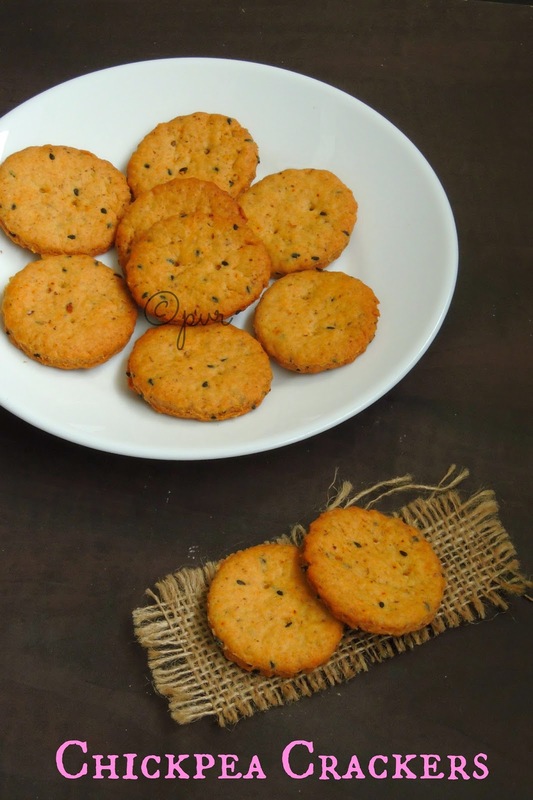 Crackers, this biscuits are easy to bake with simple ingredients, actually crackers can be enjoyed just like that or else topped with cream cheese. 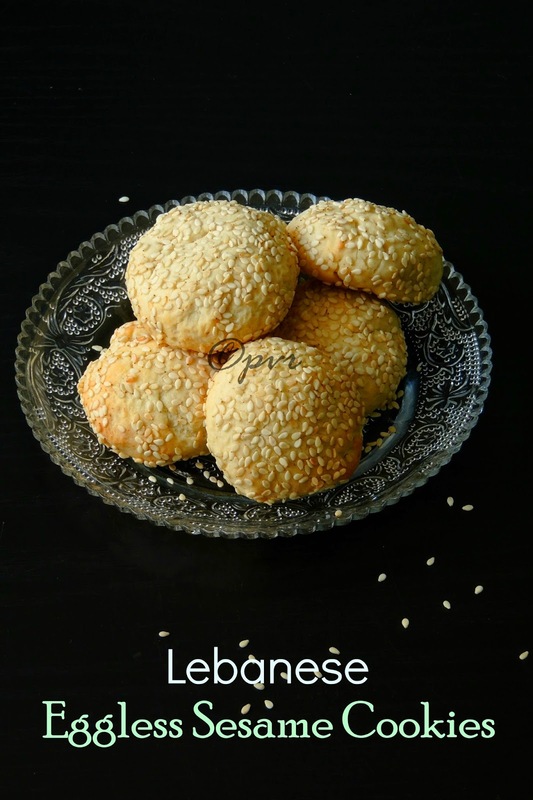 Depending upon anyone's tastebuds, you can enjoy this incredible biscuits with many different dips as well. 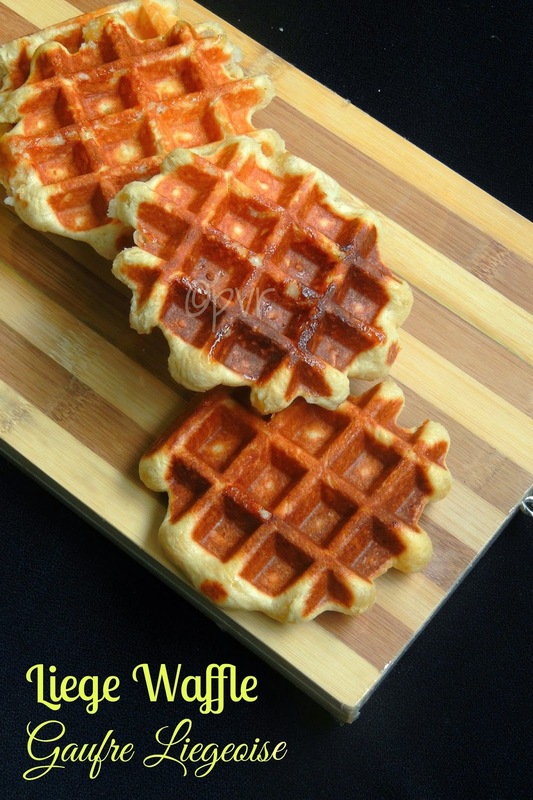 For this month's Home Baker's Challenge, a monthly baking event where we bake varieties of baked goodies every month and this event is hosted by a guest host every month. This month am hosting this baking event and i picked crackers as this month's theme. 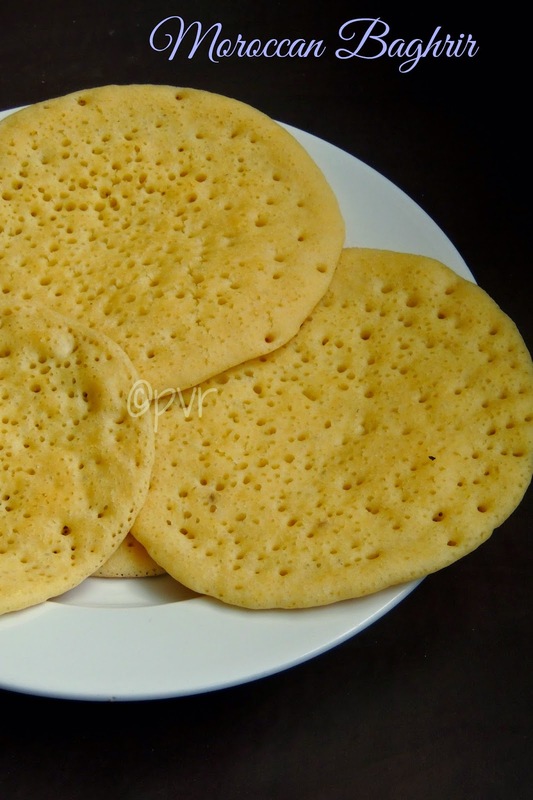 I have picked couple of this biscuits and i tried my hands with Champa's Chickpea crackers. Actually her version was without seeds, but i couldnt resist myself to add black sesame seeds, flaxmeal and loved it to the core. Cheesecake,my younger one can have this absolutely delicious cake anytime. He can have any flavored cheesecake eventhough his favourite is always chocolate cheesecake. I love baking and my space is loaded with various bakes obviously am an active member of many baking group who never fail to participate every month..Being a member of a weekly baking group, an Indianised cheesecake was suggested to the members of the group few weeks back. 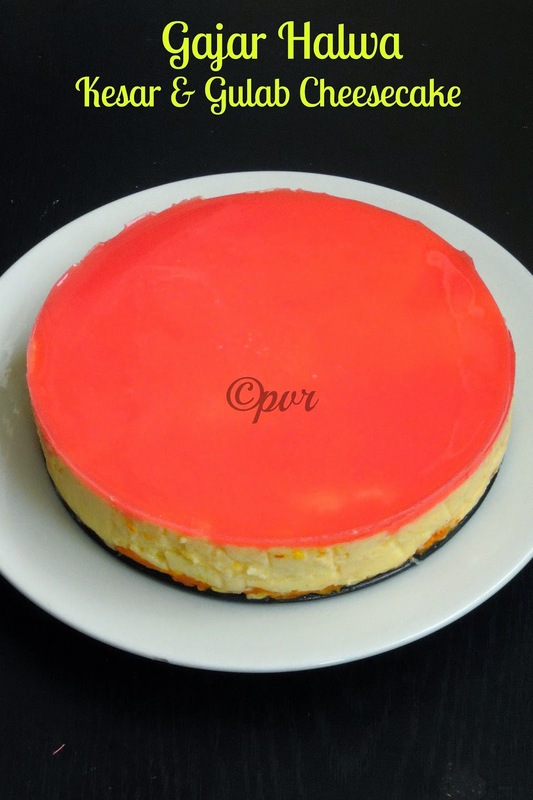 I was astonished to see a beautiful fusion cheesecake with Indian flavors in it. The base of the cheesecake went for Motichoor laddoos,followed by kesar aka Saffron cheese layer and the glaze went for gulkhand. I never thought of making a cheesecake with Indian flavors, when i saw this Indian cheesecake challenge i couldnt resist myself and tried immediately. But i made few changes according to the ingredients available in my pantry and fridge. Yes instead of motichoor laddoos i simply went for gajar halwa aka carrot halwa and the middle layer is simply prepared with paneer, agar agar, coconut milk and hung curd and instead of gulkhand glaze i opted of rose milk glaze. Trust me these three flavors works out prefect, when i had a slice of this cheesecake, the flavors just bursted in my mouth, omg i cant say in words, you have to give a try to this combination to enjoy thoroughly this Indianised cheesecake. 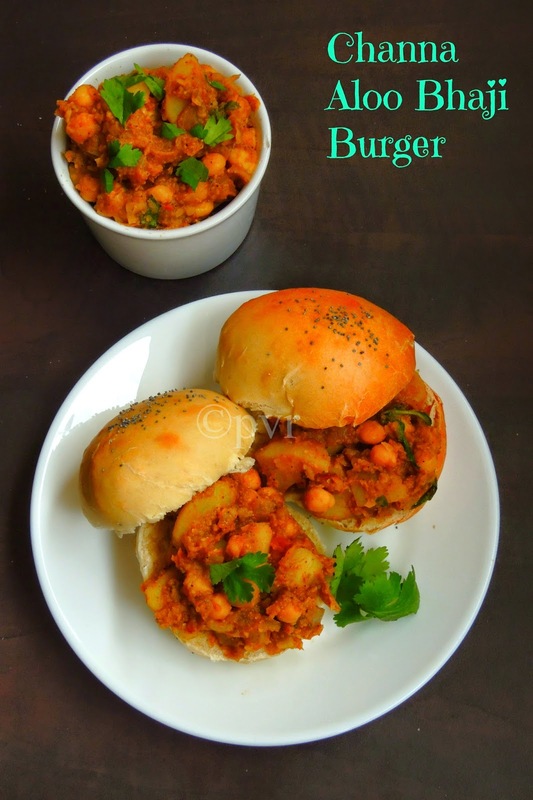 Personally for me, baking burger buns at home was quite a dream, i have crossed couple of recipes and dunno why i never tried my hands with them. If you get a chance to make your own burger buns at home, how can you miss it, definitely ' no' rite. Yes this happened for me, as i picked Tame the yeast as this week's theme, i was supposed to bake some burger buns for this week's blogging marathon .If the host of this month's Tame the yeast theme gives you an eggless version of burger buns how can you resist to it. 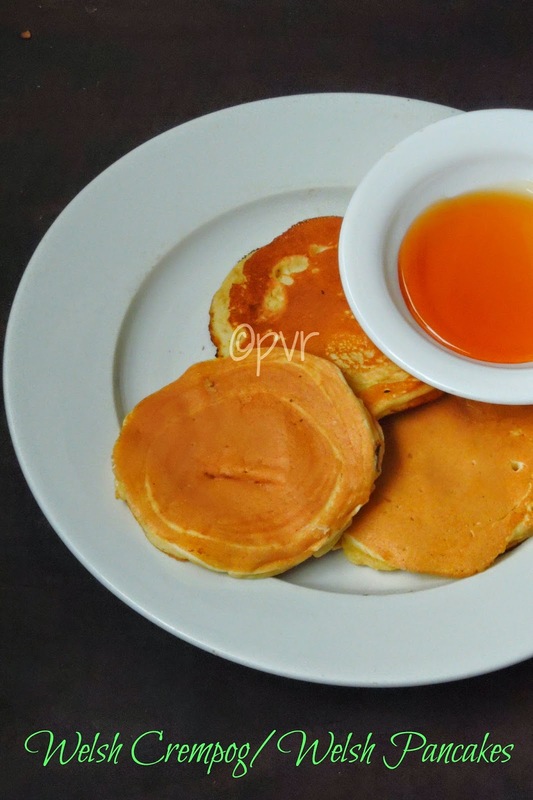 Hence i tried my hands and got these beauties successfully with spongy and softy texture. This hamburger buns came out extremely awesome, we finished your dinner happily with these cuties. Flaxseed, i love to add this seeds often in my cooking either in spice powders or simply in my bakes. Needless to say my pantry will always have this incredible seeds. Flax seeds are great egg substitutes and grounded flax seeds are very much used in eggless baking. 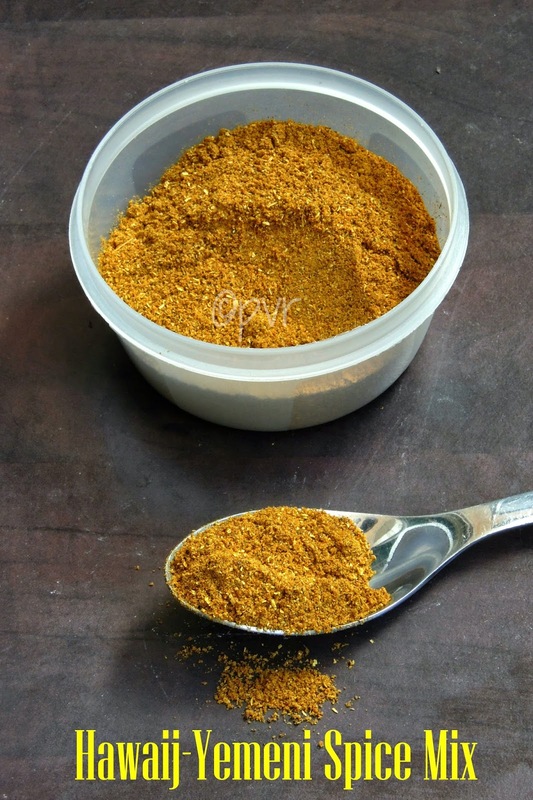 Actually i bought a kg of this seeds just to make eggless bakes with them,but once i came to know more about their health values i tried adding them in various spice powders to feed my family easily, so that none can notice the addition of this healthy seeds. 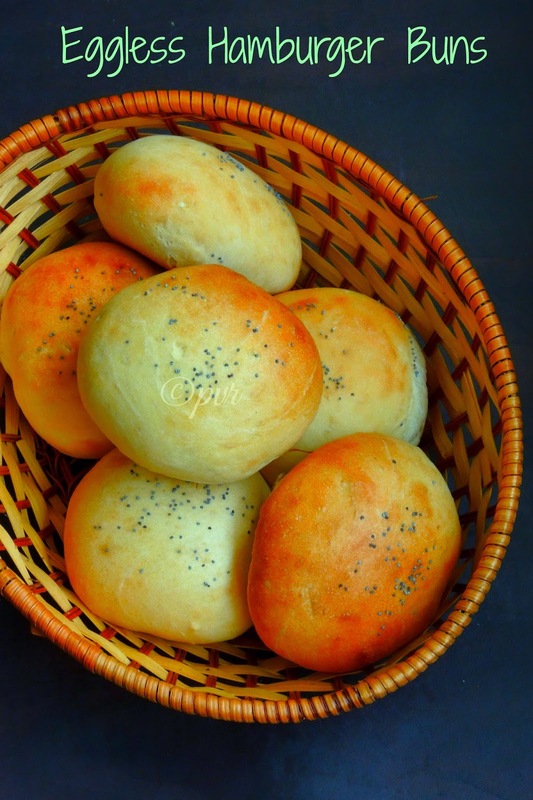 When Srivalli asked me to suggest a bread for this month blogging marathon's Tame the yeast theme, immediately the first bread came to mind is dinner rolls as we baked two incredible loaves last month. Yes this theme is up every month and two members of Blogging marathon will suggest two different yeasted bread to other marathoners. 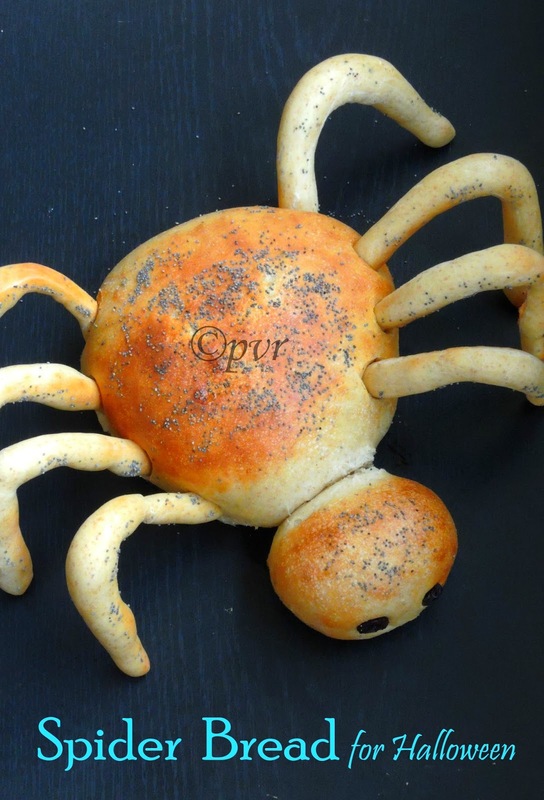 This theme helps other marathoners to retrieve their fear of baking with yeast. 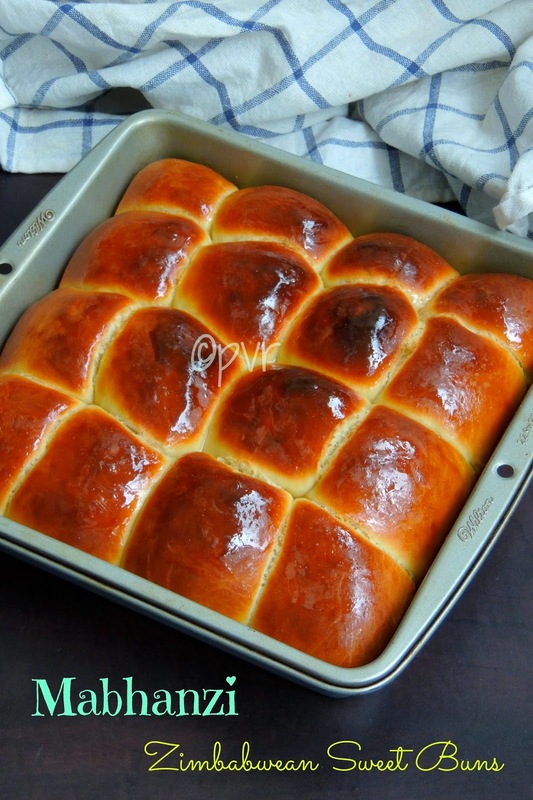 Initially as everyone, i had hard times with the yeast god, but now the yeast god behaves very much good and hence baking bread at home have became my most favourite passion after blogging. My readers and followers might have noticed that during the whole month of September i took you all to the World tour with 26 days-26 Cuisines in alphabetical order. We, the famous group of blogging marathoners finished successfully this whole month of long marathon with different dishes from various countries. Some of my co marathoners picked a theme like baking cookies,bread, salads and soups or making a complete meal from various International cuisine. Seriously hats off to you guys, i cant imagine picking theme under an another theme. As usual i sticked with different dishes from different countries, trust each of us rocked in their own way. 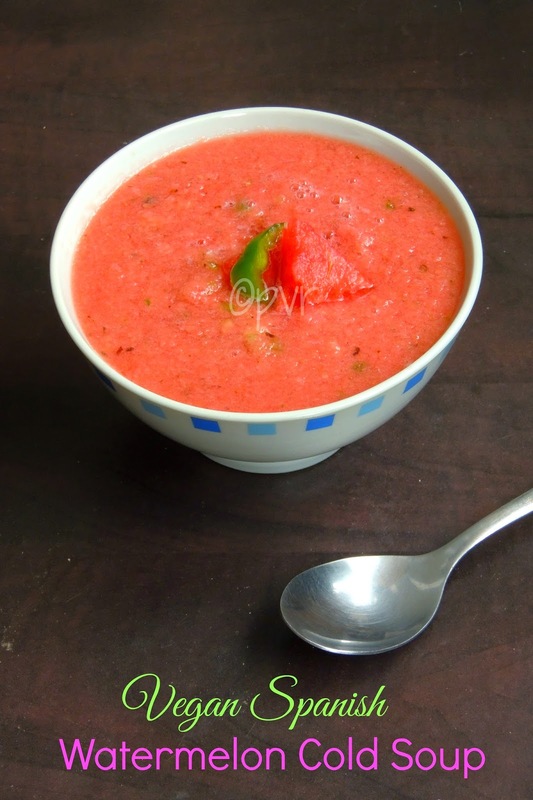 Today am doing a recap of all those various dishes i have prepared specially for September month's long blogging marathon, just take a look to all the delicious dishes i have cooked and posted during the whole month of September. Just go on and enjoy virtually my foods from the World cuisine. Hope you all enjoyed virtually these beautiful dishes around the world.